International Tennis Associates (ITA) is driven by passionate tennis enthusiasts. 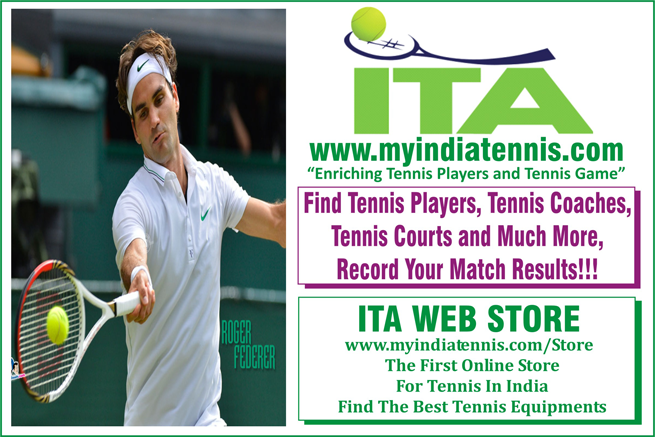 It is the first online platform for the tennis fraternity. It’s been in operation for more than 3 years and ITA has been able to help many tennis players with their dedicated service, be it with providing tennis equipments through their online portal www.myindiatennis.com or providing with tennis coaching articles or to provide with ITA Tennis Leagues in Mumbai, Delhi, Bangalore to improve their skills . ITA strives to enrich tennis players and tennis game. The main focus has been to provide a platform for growth of tennis game. The company is also exclusive partner in India and Sri-Lanka for ‘Genesis Tennis’, which is a US based brand and very much prevalent in US and Europe. ITA would be providing the winners of the first qualifying round at this tournament with the Genesis Tennis String Set.